Focus on other things when you are missing your girlfriend. Being apart for an extended period of time from your girlfriend is hard. Whether she's overseas on a study abroad program, or on a student volunteer trip across the country, wallowing in your sadness about her being gone isn't going to help you get through this time. Instead, pick yourself up and keep busy by hanging out with friends and family and exploring new activities. Not only will the time go faster, it also gives you an opportunity to focus on yourself and reconnect with your other loved ones. If you can't be with the person who makes you the happiest right now, your closest friends are a close alternative. Your pals know you, know how to cheer you up and keep you distracted from missing you girlfriend. They'll probably be happy to have you hanging around more too. Focus on doing the things you all love to do together, whether it's an all-night video game tournament, pulling innocent pranks on other dorms, or pigging out at local hang out. When you're having such a good time with you friends, you won't have time to wallow in sadness about your girlfriend being away. Dive into learning a new hobby, perhaps something you've always wanted to try but never had the time. With the free time that you have while your girlfriend is away, you could take up guitar lessons like you always wanted to. Learn a song that you can play for you girlfriend when she gets back. Try out the spin class being offered at you campus gym to see what the hype is all about. Maybe you'll get into it and have a slimmed down physique to show off to your girl. Take up cooking classes so that you can impress your girlfriend with world-class cuisine when she returns. Sometimes when you are so focused on the special person you are dating, other relationships tend to wane. 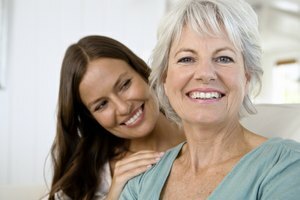 Reach out to family members who you may not have spent much time with recently. Perhaps you have a little brother or younger cousins who look up to you. Take them out for a special day of bonding. Go to the movies, get tickets to a local baseball game, splurge on games at a local arcade. If your mom is always complaining about never seeing you, surprise her with a dinner at her favorite restaurant, just the two of you. 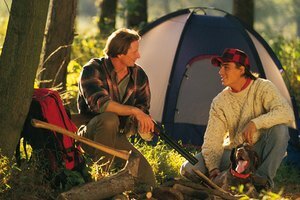 Take up dear old dad on his offer for a fishing weekend, just like you use to do all the time. Both you and your family will appreciate the quality time. Make an effort to keep it up, even when your girlfriend gets back. Make your girlfriend's day from far away. Use a video camera to record yourself and her friends sending her a "miss you" message. Record yourself at local spots the two of you used to frequent and mention that it's not quite the same without her. Edit and send her the video, showing her how much she is loved and missed by everyone. Send a care package full of non-perishable snacks from places she loves, along with pictures of the two of you, a favorite movie you both love and any other thing that would put a smile on her face. Knowing that you are still able to make your girlfriend happy, no matter how far away she will also make you feel good, making the time until you see her again more bearable. Loving From a Distance: How to Ease The Pain of Missing the Girl I Love? Hughes, Zora. "How to Feel Better When Your Girl Is Away." Synonym, https://classroom.synonym.com/feel-better-girl-away-7389.html. Accessed 24 April 2019.